donations for lis sladen can be sent to.. 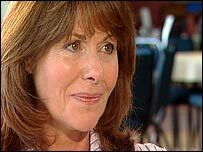 Many listeners have asked where to send donations in memory of Elisabeth Sladen. Her family has nominated the hospice that cared for her. Meadow House Hospice, c/o Henry Paul, 71 Greenford Avenue, Hanwell, London W7 1LJ.